WOW! What a year it has been! Much has happened in the prolife movement in 2013 as well as this prolife ministry. We’ve seen division, communion, and revelation…but most of all we’ve seen lives saved and changed! This year I had the distinct honor to be a part of what God has set aside for me as well as this ministry. I take what He has given me with precious humbleness of spirit and thankfulness. I cannot do this without Him. Period. I give God all the honor and praise. I was able to travel a bit this year to see other prolife ministries and organizations fight this horrific child killing massacre called abortion. I so enjoyed seeing others come to sidewalks and abortion facilities to pray and counsel. IF YOU DON’T SEE THE ARMY YOU’LL NEVER KNOW THERE IS A WAR. Get on the sidewalk, PRAY…but most of all SHOW UP. Abortion facilities close when good legislation is passed WITH outloud public awareness which affects the abortionists wallet. No money closes facilities. OBSERVATION: While on a recent trip up north, I flipped through radio channels and came across a prolife program!! I listened intently and was thankful that someone has the fortitude to have such a program. Being an Evangelical Christian, I am disgusted by the Evangelical Church NOT participating or engineering their own prolife ministries and radio programs on Christian radio stations. This particular show I listened to was on EWTN. While I am thankful for such a program and their intent, I am quite dismayed by other ‘Christian’ prolife ministries that shamelessly slam Catholics but do nothing to promote such a program in their own ‘vernacular’ to their targeted audience. All that being said, there is never anything on any other Christian radio channels, ever. EVER. I attended the NOLA Needs Peace Press Rally last May. It was held next to the site Planned Parenthood is to build their new 7000 sqft killing center. Great speakers like Mary Matilin and Abby Johnson spoke as well as other prolife organizers and clergy. Every news station came. New Orleans will be changed forever because of a handful of Progressive Democrat women in New Orleans City Council who determined that NOLA needs a Planned Parenthood REGIONAL abortion center. New Orleans needs PEACE, not more abortion! To the best of my knowledge, Louisiana has three abortion facilities and ironically Planned Parenthood is not one of them…but now they will be a major player that is trying to get the ‘mom & pop’ abortion facilities to close so they can capture the market. And also know that the ‘market’ includes Mississippi which GRATEFULLY has only one abortion facility located in Jackson – and that on is slated to close. What Planned Parenthood is doing in Louisiana is a sales move, not helping women in crisis. Women need to be counseled, not pointed to the killing facility to relieve their ‘problem’ with a life long permanent solution of child death. But God is GOOD! The rally was not the only reason I was supposed to be in NOLA: One day back in the year 2005, I was forever changed by seeing an army of one, a lone man carrying a huge crucifix outside of an abortion facility in Baton Rouge. Because of this man, I have this ministry today. At the New Orleans Press Rally, I was finally able to meet this man and his wife for the very first time. I cannot tell you how blessed I was to be able to tell someone how their simple act of praying on a sidewalk changed my life forever. Richard, I cannot thank you enough! Nearby in Baton Rouge I was wonderfully blessed to witness and counsel at their local abortion facility shoulder to shoulder with the man I met in New Orleans. The counselors there were wonderfully warm and loving, every one of them! They came from different backgrounds and each had different stories that brought them there. I am so excited to see 8 lives changed in the three days I was able to be there. I am planning another trip next year, hopefully two. And then to the Lone Star State! In July we were able to go to Austin for the big prolife rally on the steps of the Texas Statehouse! INCREDIBLE to see a SEA of blue everywhere for LIFE! We met many people from other states that came on their own while the opposition was PAID to be there to try and secure legal baby killing throughout the entire pregnancy. We met Abby Johnson and Carol Everett as well as many life-minded state legislators. We were hosted by an incredible prolife family that loves above and beyond! God knows what He’s doing….I love their family dynamic and I have purposed to do the same for my own home; God Bless you Sue! But BEST of all was going with great friends! Thanks Bobbi and Jeannette for what you do! WHEW…thank the Lord for the travel ninja. And then there’s the sidewalk. In this year of 2013, I dedicated myself to the sidewalk besides speaking from time to time and running this ministry. God has directed me to go where no other prolifers wants to go. I played the ‘intent’ game too…but all I received for all of my hard work of avoiding the sidewalk was Godly chastisement. The sidewalk is an interesting thing; it’s peaceful and at the same time full of demonic forces trying to kill innocent flesh. I am blessed to witness with two of the best most faithful counselors in history but I wish I could say we enlisted more people. The sidewalk is a common place where we do the uncommon. It’s hard. But in a good way. AND WE LOVE IT. Viv and Holly..you guys bless me and this community. Thank you for your service! 40 Days for LIFE is one my ‘babies’. Our local group always includes KeepLifeLegal with their rallies and groups. I am blessed beyond measure by 40 Days! I’m impressed by their commitment and cooperation with all that want to join and pray PEACEFULLY. I encourage everyone that is scared of the sidewalk to come during a 40 Days campaign to be with others that come peacefully and prayerfully. And then there’s the…opposition? Yes, there is division in the prolife movement and HOW SAD IS THAT besides embarrassing. I will never understand why other ‘ministries’ try to thin the herd by false doctrine AND intimidation. We need more in the army not less. But I see the prochoice side do this, too. They scream and intimidate women by means birthed by the Nazis. When a ‘movement’ or ‘ministry’ follows a man or woman rather than God, you have stepped out of the absolute will of God. PERIOD. To summarize, I see three camps in prolife ministry and I have the ability to see the differences and accept that I may not change what you believe. BUT I will stand shoulder-to-shoulder with each and every one of you on the sidewalk TO SAVE LIVES, not battle you. 87 abortion facilities have CLOSED in 2013! Issue advocacy, prayer and diligence works. There are too many people trying to call the shots from the sidelines rather than getting in the game. Opinions are GREAT…but so are results. Thanks to Troy Newman, Bryan Kemper and Mark Crutcher; TRUE prolife heros in the trenches of a post abortive America. WHAT’S UP FOR 2014 you’re asking? In my local community, we have a ‘right to life’ organization that does NOTHING. They turn their noses up and away from just about any prolife legislation because the statewide RTL says to. BUT NOT THIS MINISTRY! We are going to be announcing SOON a new and improved Right to Life organization/ministry in this community that will be in the public eye, the public square and in the craw of those that oppose us. 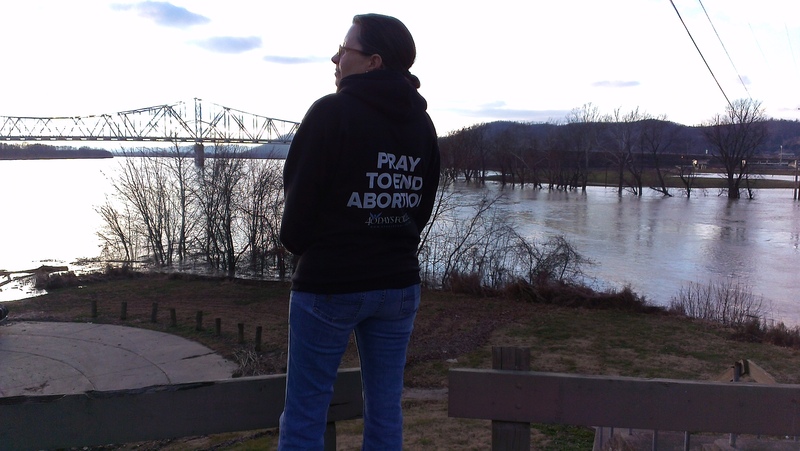 I am personally dedicated to bring real AWARENESS to the death camp called an abortion clinic in my community by way of open prayer vigils, issue advocacy, partnering with real prolife ministries and orgs, and sidewalk counseling when the facility is open, and not just on the warm sunny days. There are way too many fair-weather prolifers here that have great big opinions and never backs it up. My Bible is a book of LIFE, not choice. We preach Christ crucified, we preach LIFE. And above all, PRAY. Let’s make 2014 a year that will astonish millions one day that finally ended abortion! Happy New Year from KeepLifeLegal and may God richly Bless you!